With the aim of promoting exchanges on topics such as the development and use of information technologies and communications, and their impact on international relations, the International Conference "New scenarios of political communication in the digital environment” will start from tomorrow. The headquarter will be Palacio de las Convenciones in Havana and the event will be attended by over 200 delegates, including 60 foreign experts-already confirmed- that will address issues such as cybersecurity, Internet governance and technological sovereignty of nations. Jose Carlos Rodriguez Ruiz, executive coordinator of the event, told ACN that the high turnout reflected the interest and understanding of how important the issues to be discussed are. Critical issues such as cyberwar regarding all the nations of the world and affecting the social, political and economic actors alike are among the goals as it is to discuss key aspects like this, said the official. 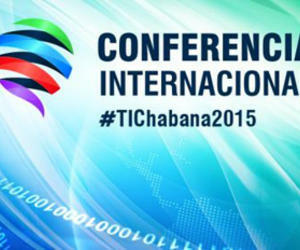 Experts and official delegates from around 30 countries from all continents will begin the International Conference, which will be reflected in social networks through the hashtag #TIChabana2015.